Mumbai, the commercial capital of India is a melting pot of various cultures, cuisine, language and people. While Mumbai retains its colonial charms, it is also the land of glamour, glitz and high fashion. Every part of Mumbai boasts of a distinct culture, tradition and cuisine. 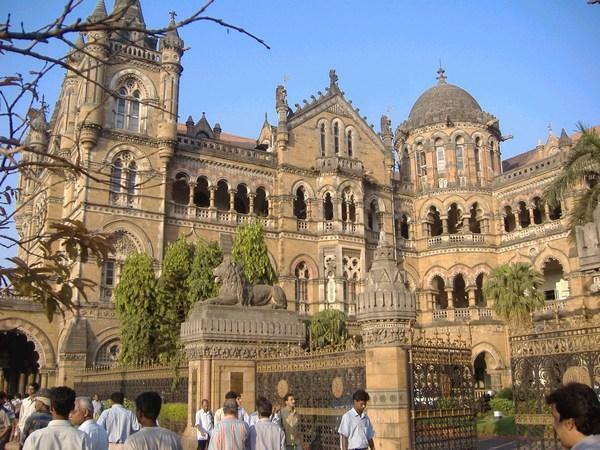 What makes Mumbai an attractive holiday destination is the choice it has to offer. Mumbai gives you a variety of options to choose from, in any activity you choose to pursue during your holiday. From shopping to club hopping Mumbai gives you the right to choose your experience depending on your budget. From high end haute couture to economical bargains at street side shopping stalls, Mumbai has an experience in store and a smile to share. The Taj Mahal Palace was one of the first luxury or 5 star hotels and continues to be one of the finest hotels in Mumbai. This 5 star hotel has the unique distinction of being in close proximity to one of the notable landmarks in Mumbai, the Gateway of India. Being a member of the "Leading Hotels of the World" speaks volumes of the ambience, facilities and hospitality this 5 star hotel has to offer. The hotel is situated at a distance of 30kms from the airport. This 5 star hotel situated in Bandra, Mumbai has the advantage of being close to the airport, in close proximity to important business districts and also overlooks the Arabian sea. The Taj Lands End is a part of the Taj Group of Hotels and promises the hospitality and luxury it is known for. Apart from international cuisine and hospitality, the Taj Lands End also boasts of a ladies floor for single lady travelers. The hotel is situated at a distance of 8 kms. from the domestic airport and 12 kms. from the international airport. This 5 star hotel is situated very close to the Mumbai domestic airport. The Orchid is accredited with an ISO 14001, with the unique distinction of being the only Ecotel in the world to have this certification. The Orchid is also certified as the first 5 star eco-friendly hotel in Asia. The hotel is situated a km from the domestic airport and 5 kms from the international airport. Both are 5 star luxury hotels and in close proximity to business districts in Mumbai. While ITC Grand Maratha Sheraton is Located in Andheri closer to the international airport, the ITC Grand Central Sheraton is located at Parel which is closer to business districts such as Worli, Marine Drive and Nariman Point. The Leela Kempinski is perhaps the only one of the numerous 5 star hotels in Mumbai to have a sprawling landscape. The well landscaped gardens include waterfalls, fountains and lotus pools which paint a serene picture amidst the bustling city. This luxury hotel is also situated close to the Mumbai international airport at a distance of 1.5 kms. This 5 star hotel boasts of providing a luxurious experience to both business and leisure travelers. We hope you enjoy your stay in any of these wonderful hotels in Mumbai!